Awnings are very expensive. 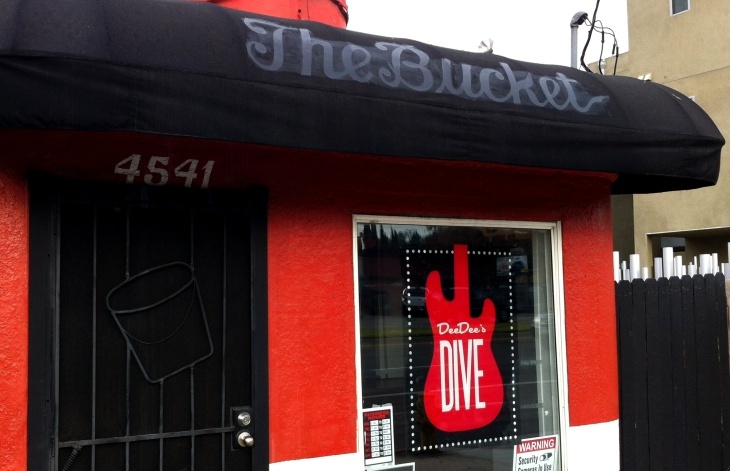 The Bucket, a greasy burger joint, is dead. Long live Dee Dee’s Dive. Owner Julio Maeso is a true character and known for his steady stream of insults to his guests. The burger he makes looks like the Empire State Building when finished and his “special secret sauce” will be all over you by the time you finish. Dee Dee has brightened up and de-greased the place and added rock ‘n’ roll decor. She’s hoping for the same community support that has kept the little burger joint going for almost 80 years.